Happy Rome i Roma, Italia: Bestill nå! We are located in the centre of Rome. 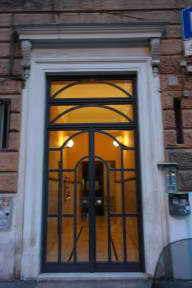 Porta Maggiore is 400 m from Happy Rome, while Sapienza University of Rome is 900 m from the property. 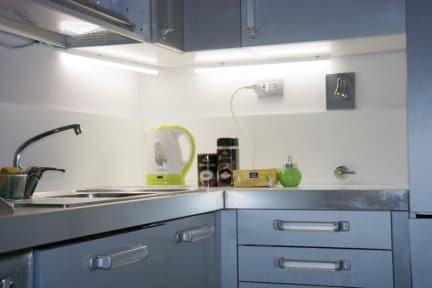 The nearest airport is Rome Ciampino Airport, 12 km from the property. Central Station is a great choice for travellers interested in roman ruins, history and monuments. You can easily reach the metro stations A and B that is just 10 minutes walking from the hostel, we're very close from the main Station Termini very easy to find us. We offer well-equipped private and dorm rooms. Our rooms are very clean and comfortable for every tourists, we have some locker that you can use it. Private rooms: Large double bed, free WI-FI, street view from window. Dorm rooms with street view and free WI-FI. Check in from 16:00 to 23:00 pm - if you arrive late, please contact the property. Breakfast included - but keep in mind that during these months, breakfast is not included: November, December, January, February and March. Age restriction from 18 years old to 35 years old.